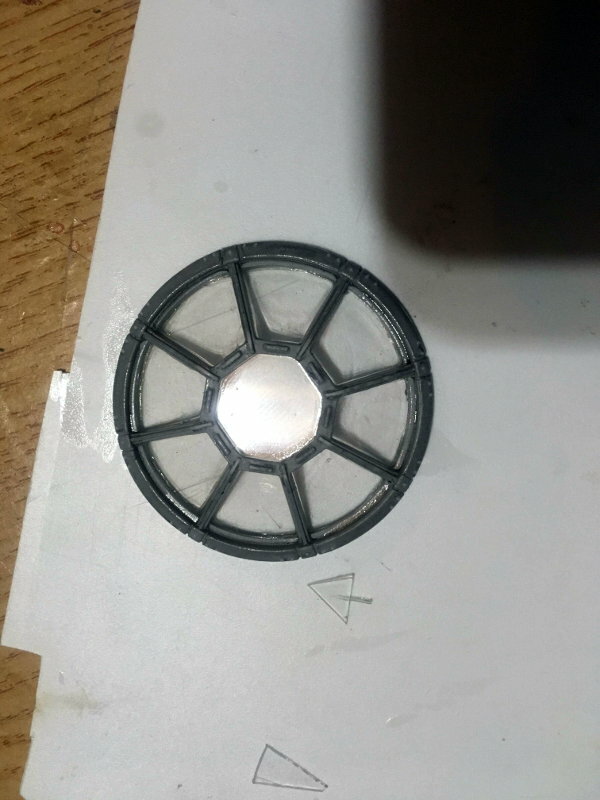 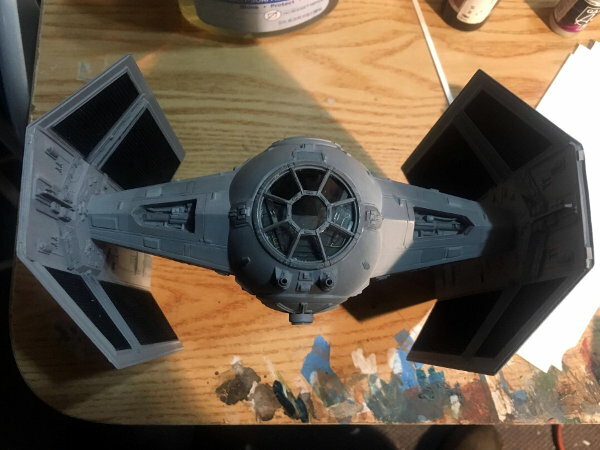 Updated 12-20-17 Part 9 Completed Tie Fighter. 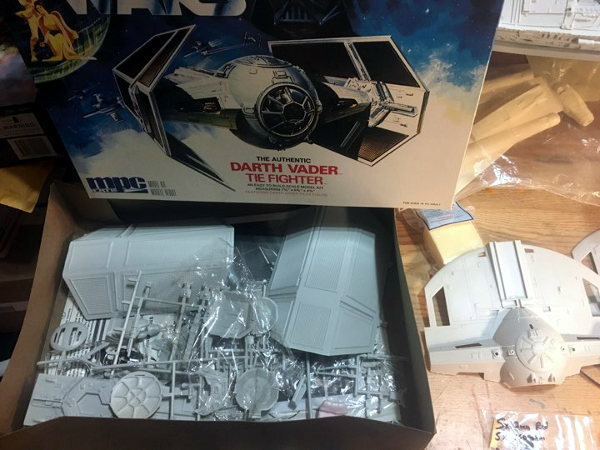 This model us up for sale for $1400.00 plus shipping. 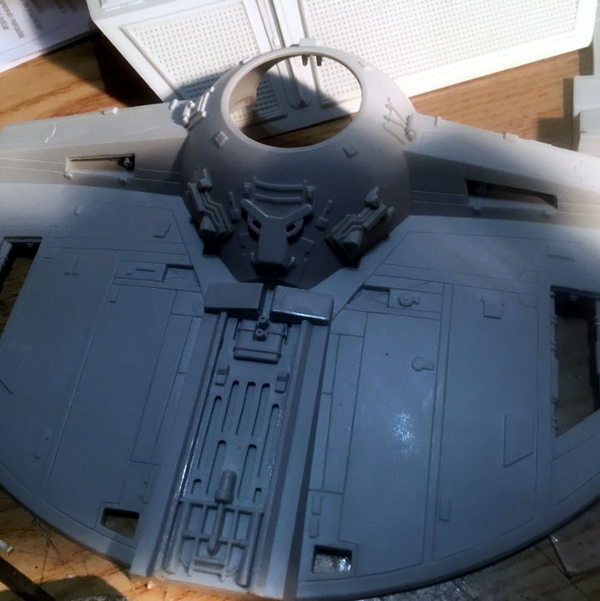 Steves model is also on display at www.modelermagic.com. 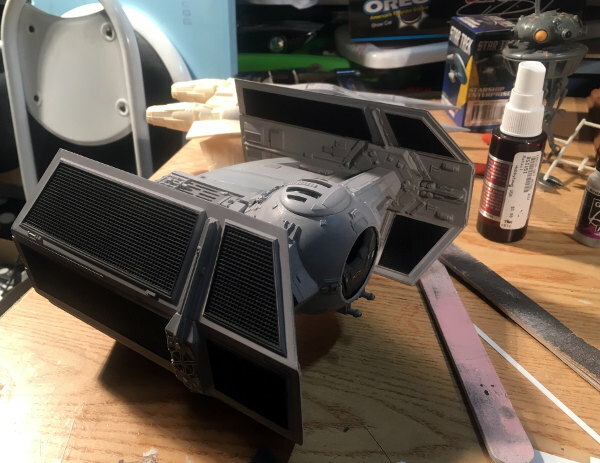 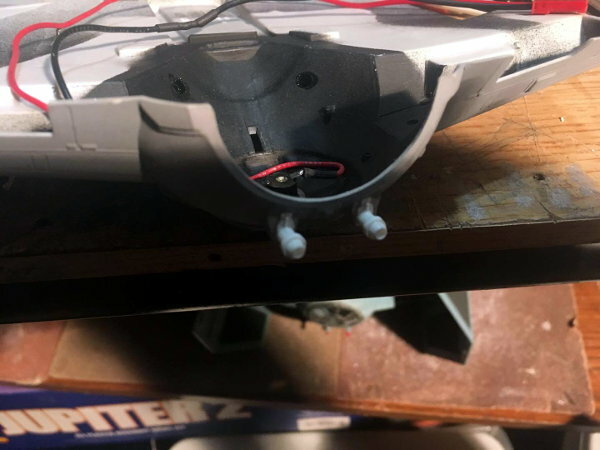 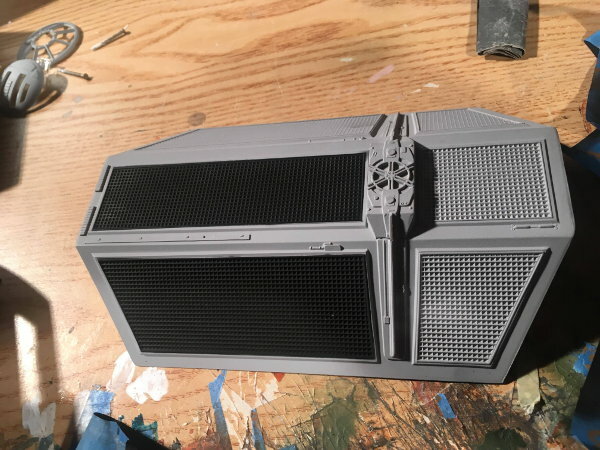 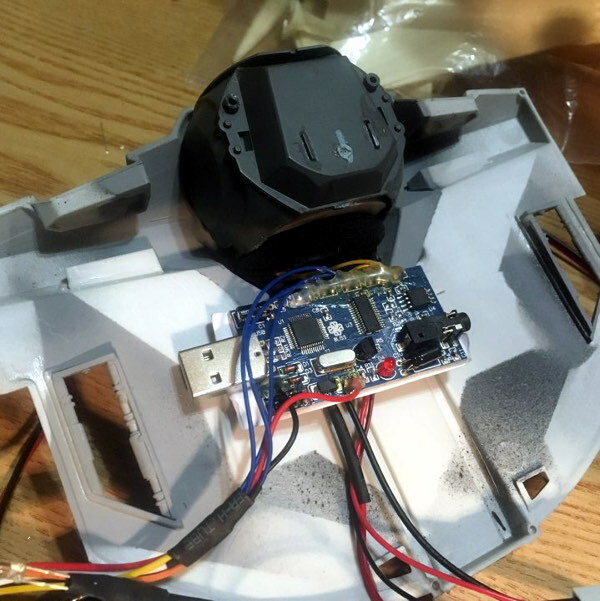 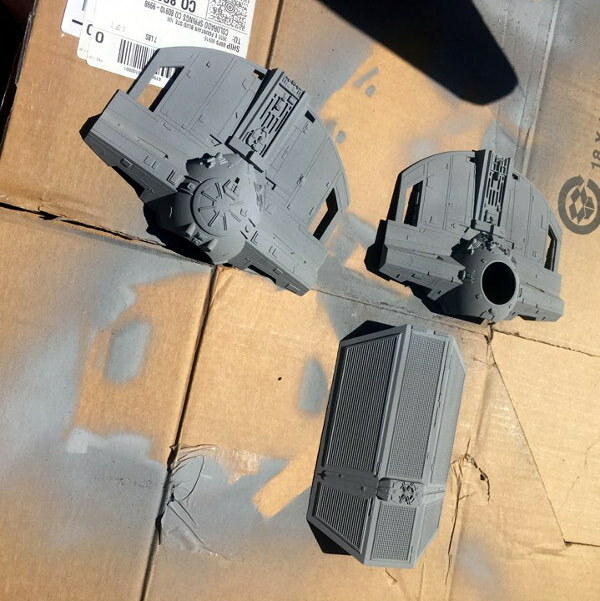 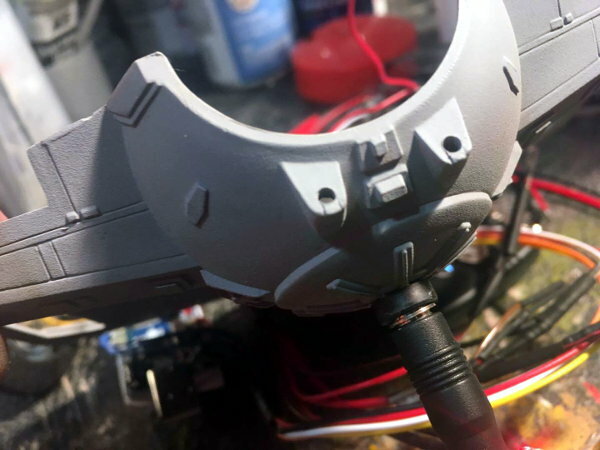 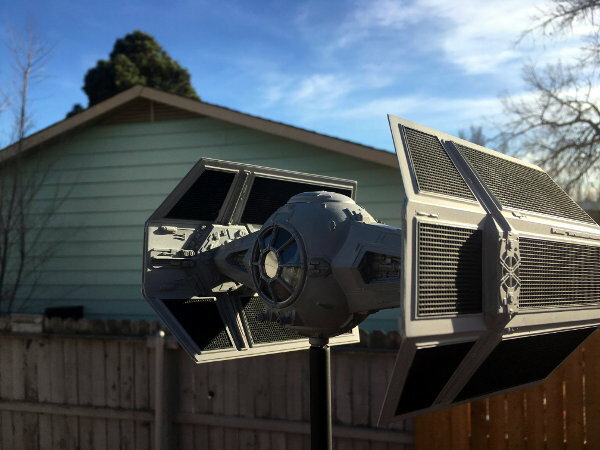 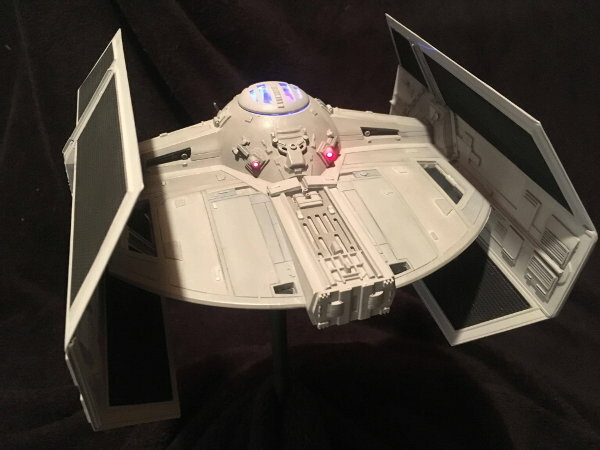 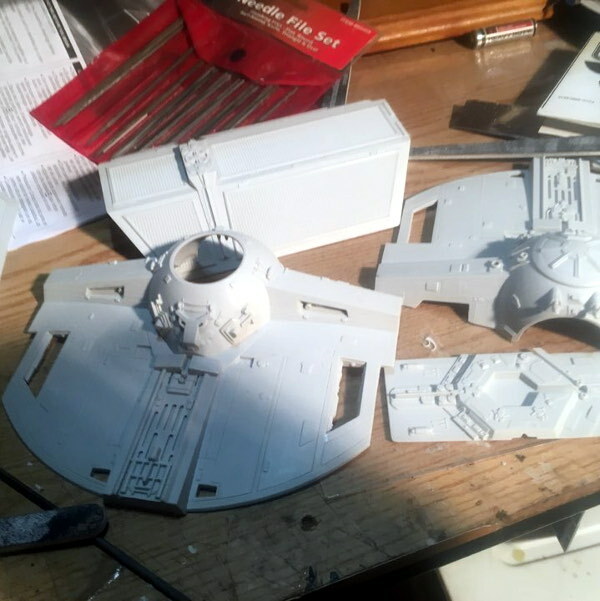 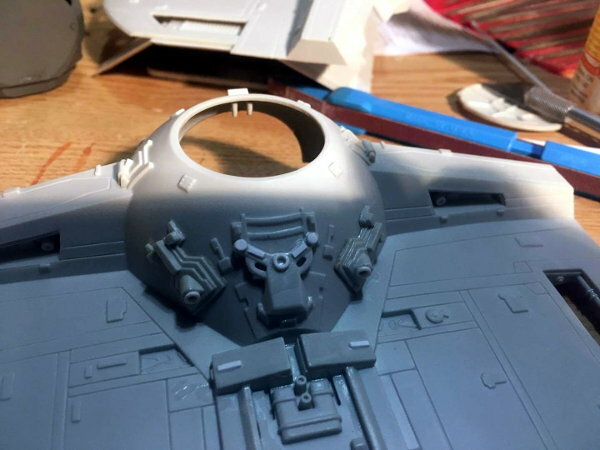 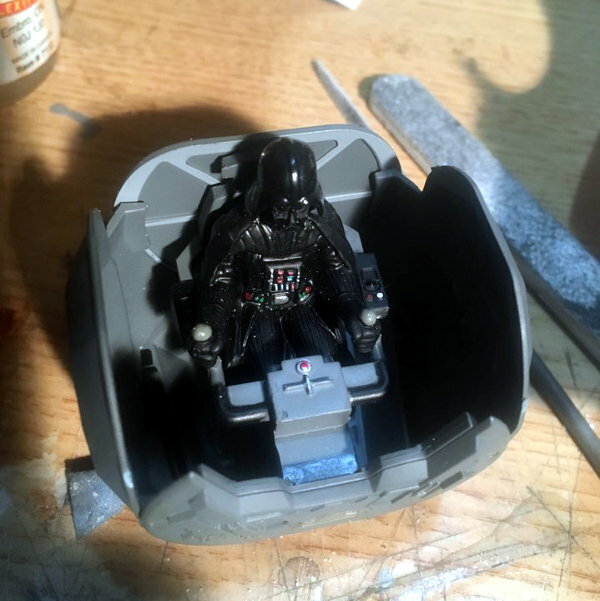 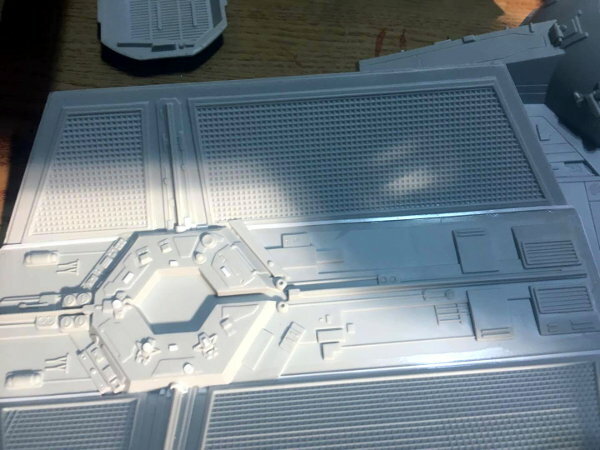 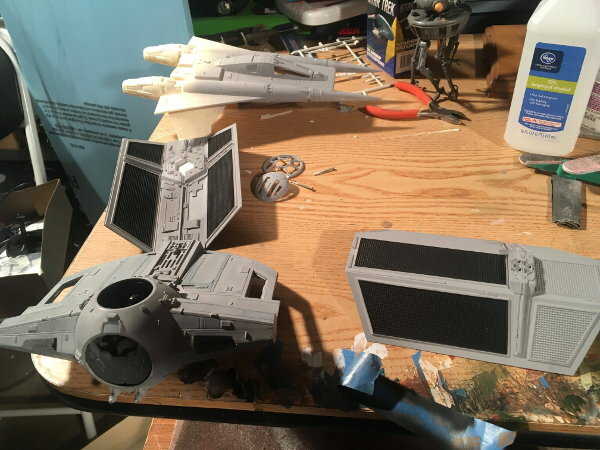 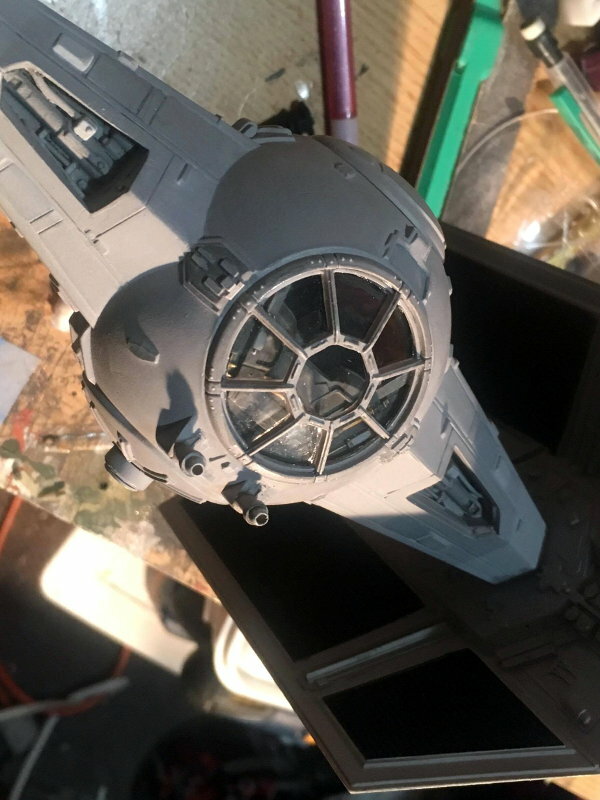 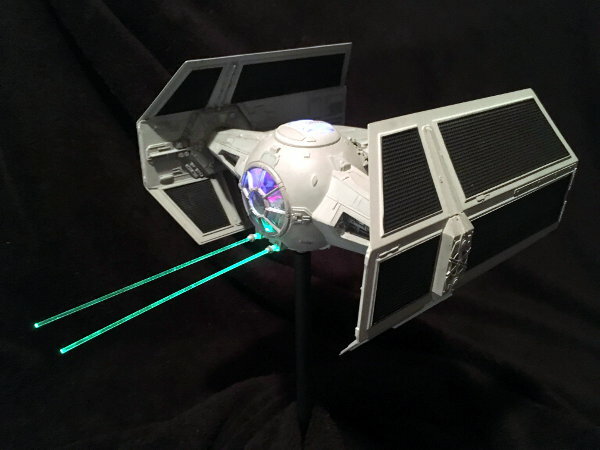 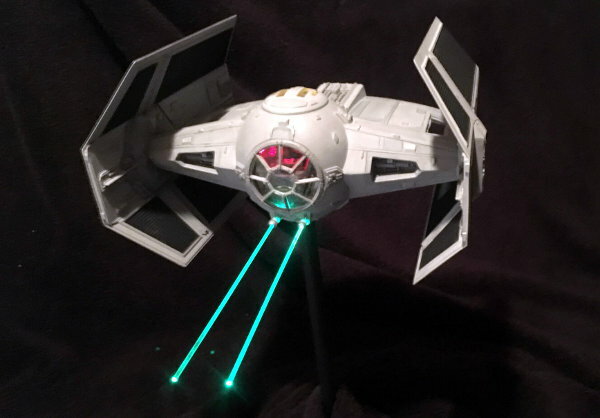 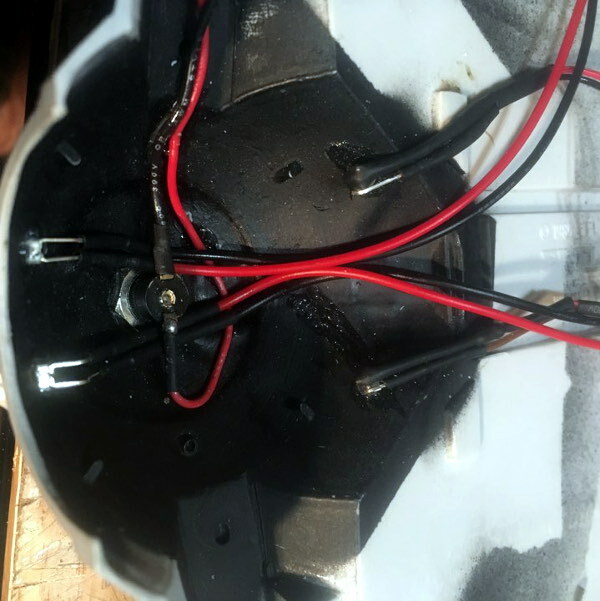 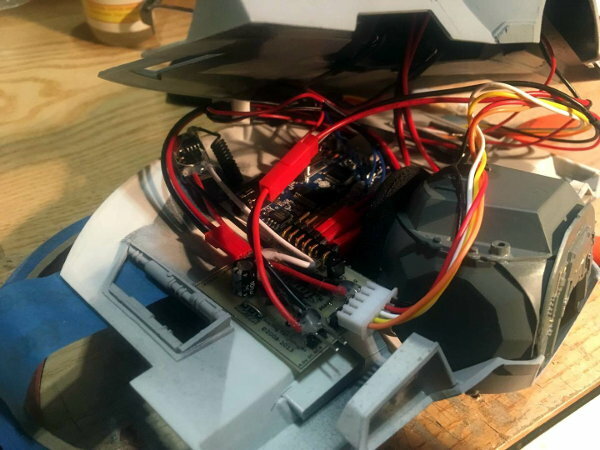 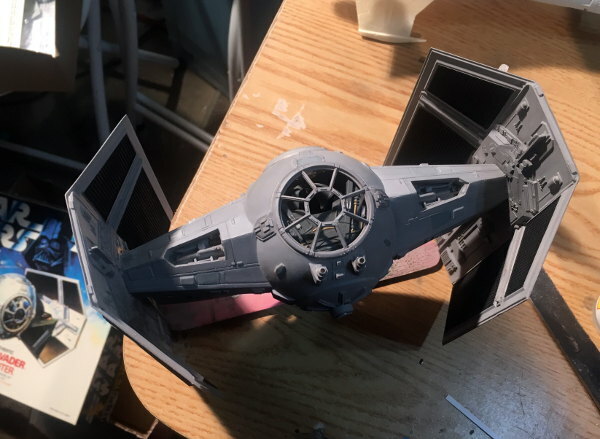 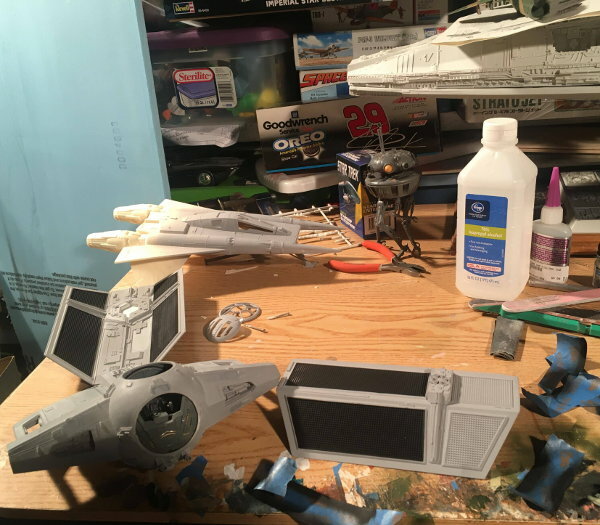 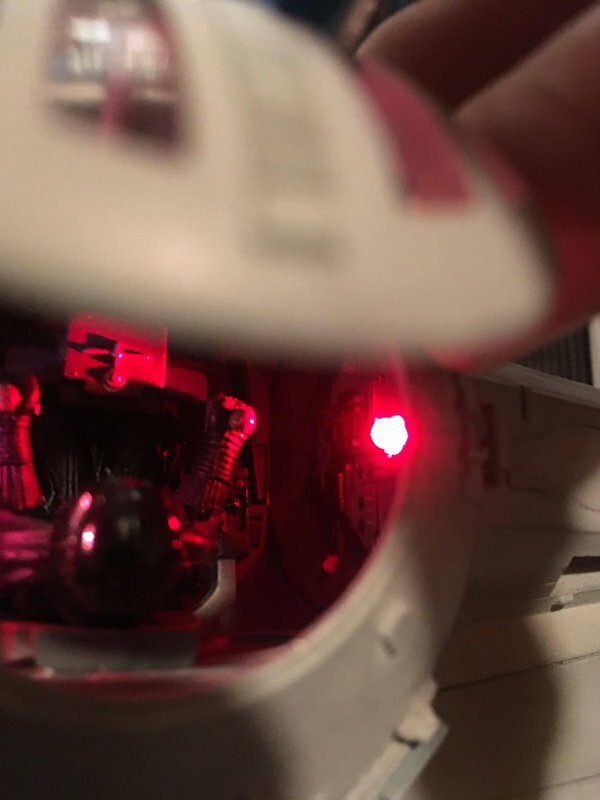 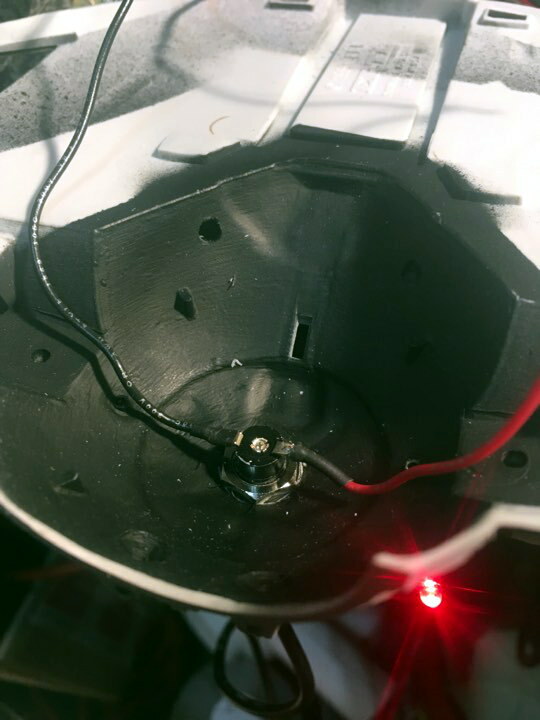 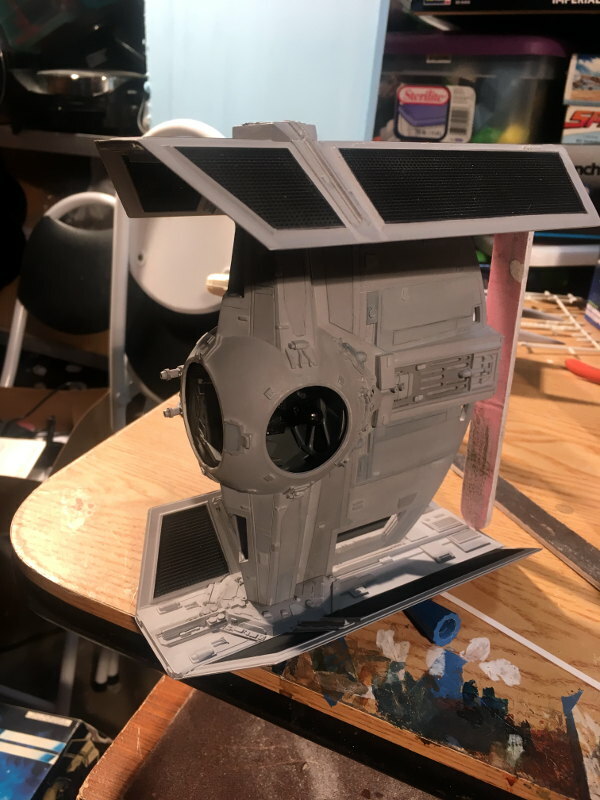 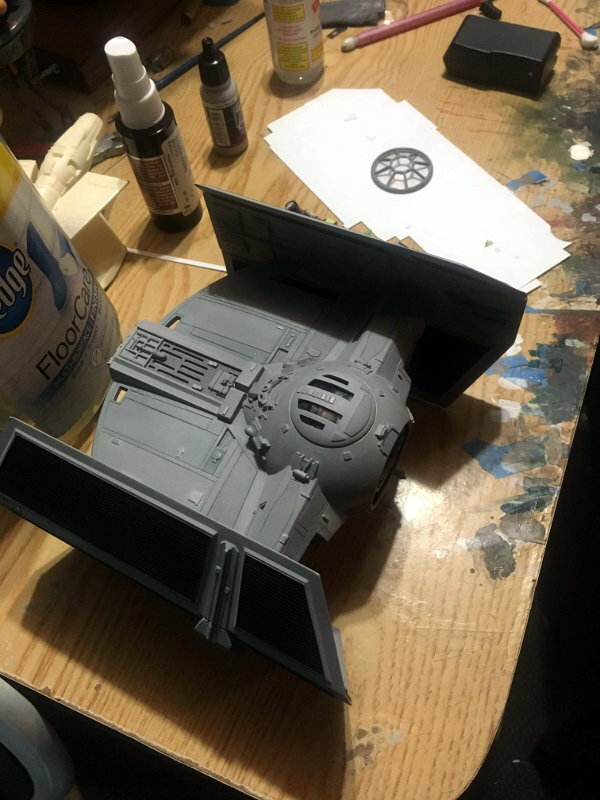 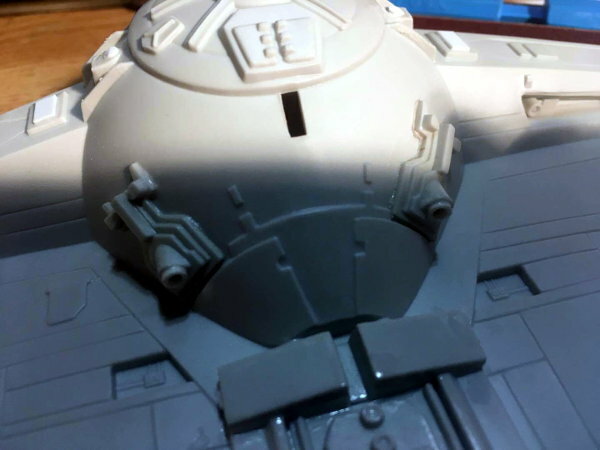 Model builder Steve Carricato W.I.P of the MPC Darth Vader Tie Fighter using the Starling Technologies Tie Fighter Life Force light and sound kit. 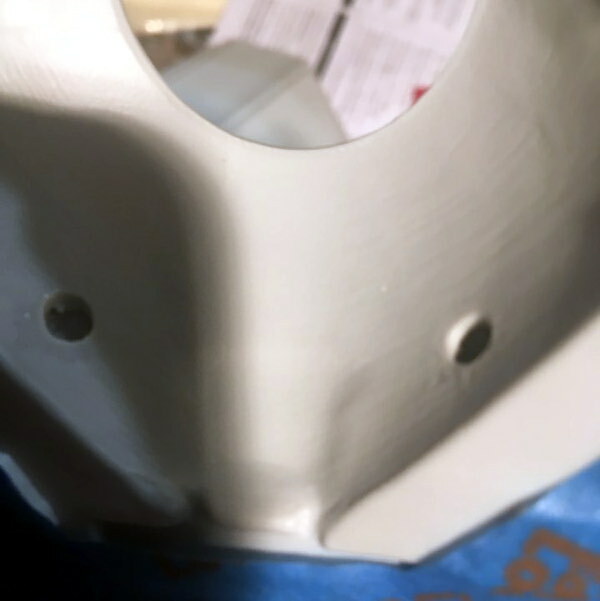 Photos and Videos will be added regularly. 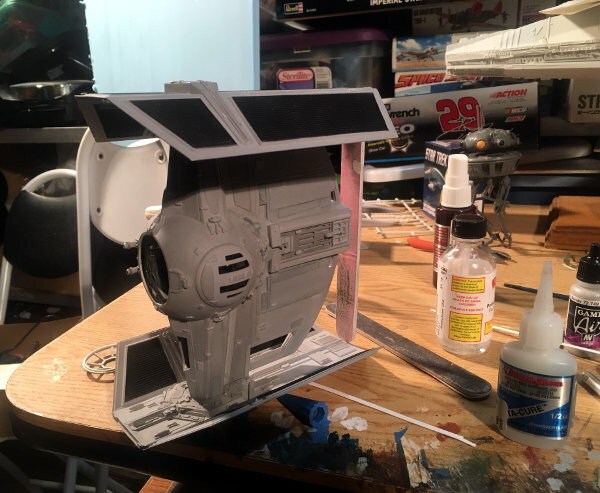 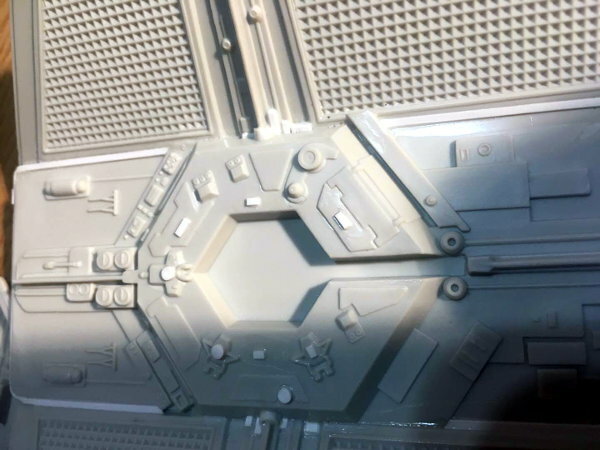 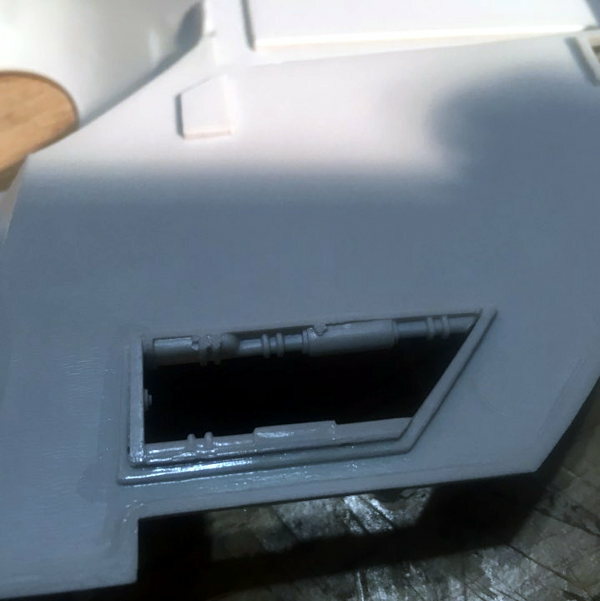 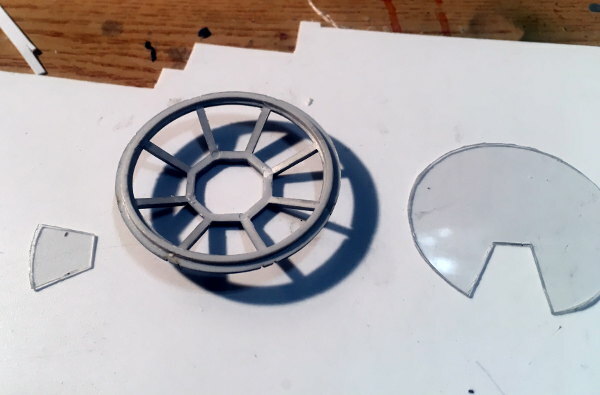 You can Contact: Steve Carricato Spacecraft Creation Models carrisj63@gmail.com for a commission Build. 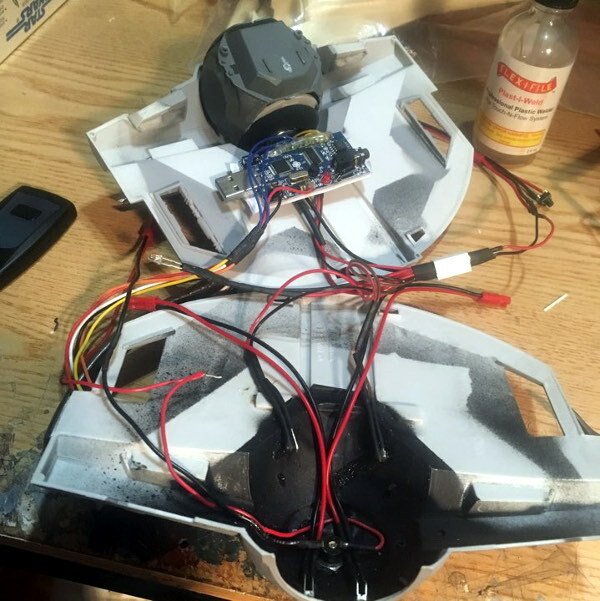 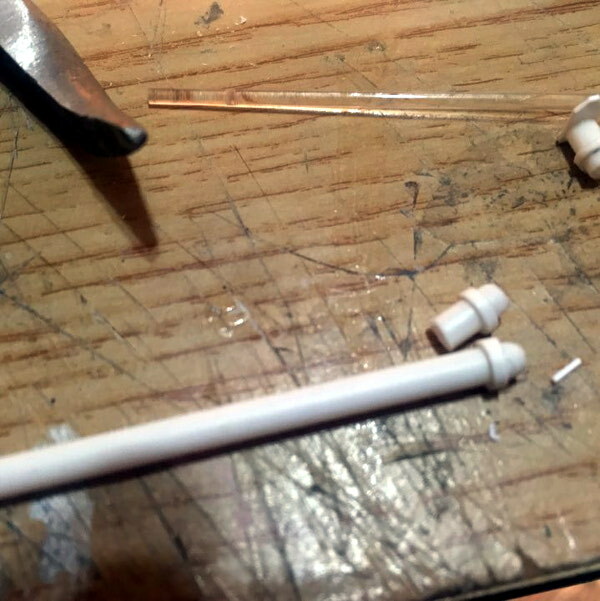 Steve's build Parts 1 to 3. 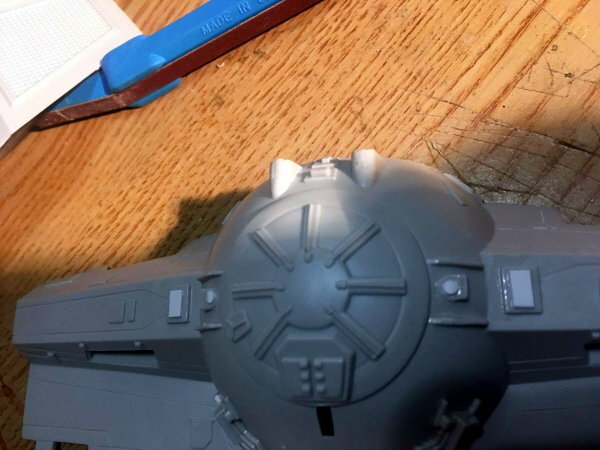 Adding Details and fixing seams. 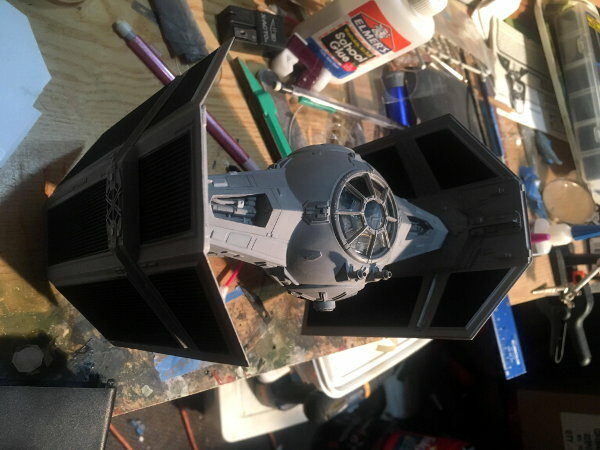 Added 11-25-17 Part 9 Completed.